This, as you might guess, is the “after” shot of the renovation of the Old Book House. 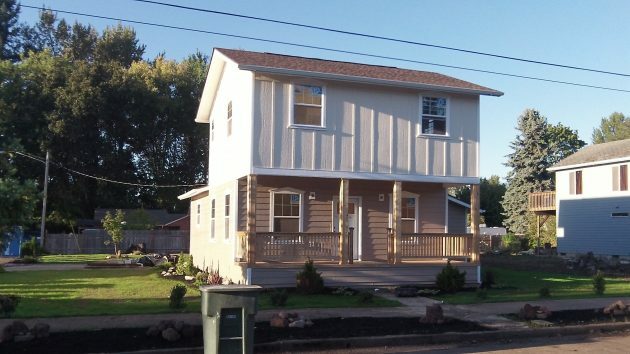 The conversion of the Old Book House in Albany’s Willamette Neighborhood is just about complete. At least that’s the way it looks to me, from the outside. This is the way the place looked back in April. I’ve been following the complete reconstruction of this place at 1405 Front Ave. N.E. since it began during the winter. 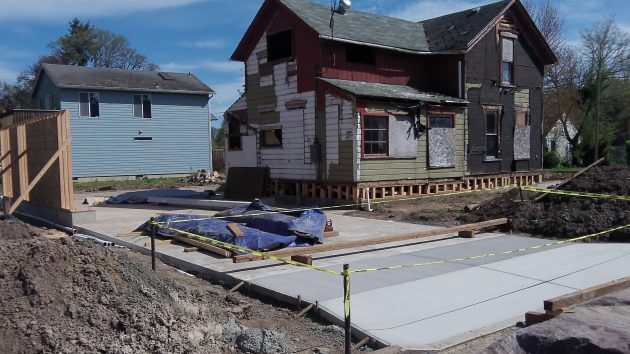 Sean Sullivan of Superior Homebuilding and Carpentry in Albany bought the dilapidated property, originally built in 1900, last year and has been turning it into a modern, livable home. When the project started, one of the interior walls yielded a book nearly as old as the structure itself. It was a 1907 edition of a volume on “American Railway Transportation.” The book had been checked out of the Albany Public Library, probably some time in the 1930s, and never returned. When Sullivan’s crew found it during demolition of the interior, they turned it in to the library. And when I showed an interest in it, the library gave it to me as a surplus item no longer useful to the collection. I didn’t even have to pay the late charges, which I figured amounted to several hundred dollars at the 1930s rate of one cent a day. The plan is to present the little volume to whoever buys the place when it’s complete. 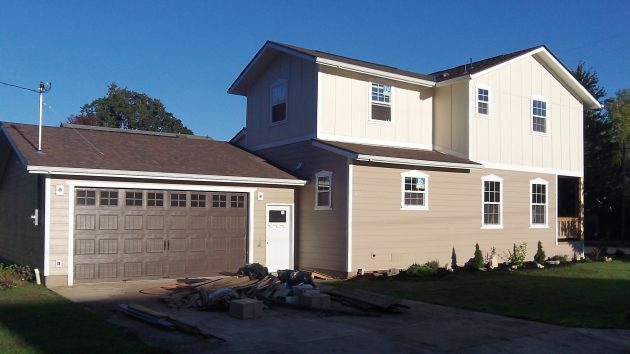 This is the view from the front, the Front Avenue side. Yes. Great point Mr. K! And a future selling point of interest ! Mr. Sullivan is to be thanked for rescuing and reusing the once-dilapidated domicile. He destroyed all historic integrity in the house. For that he should rot in jail the rest of his life!